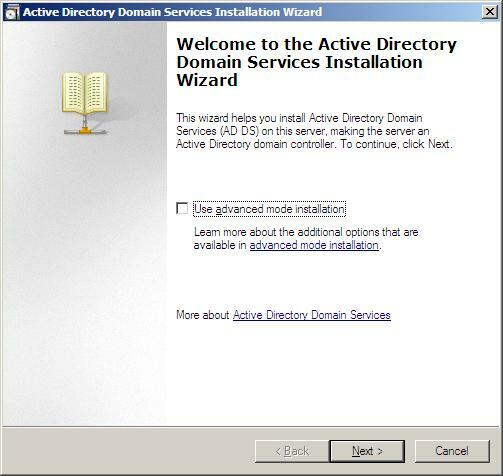 Home » windows » Active directory domain service in windows 2008 server : How to Setup ? 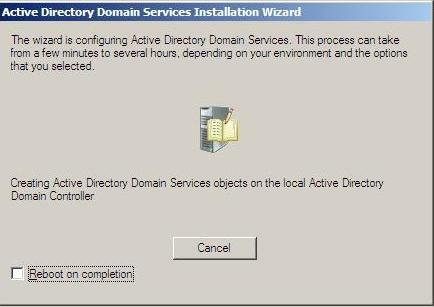 Active directory domain service in windows 2008 server : How to Setup ? 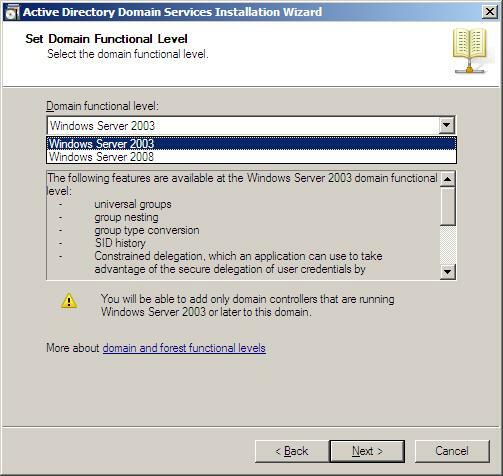 If you have set up a domain controller previously with Windows 2000 Server, or Windows Server 2003, then you would be familiar with the dcpromo.exe command, it will also be used to set up a Domain Controller on Windows Server 2008. 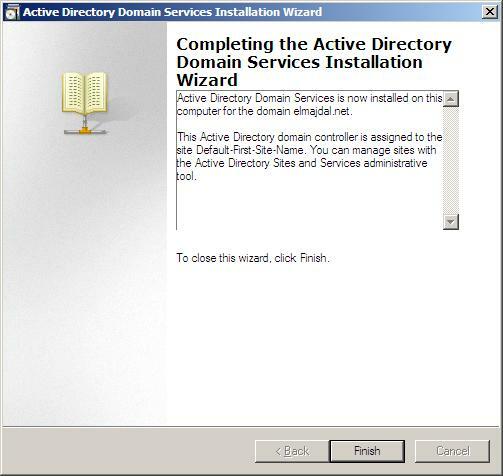 The system will start checking if Active Directory Domain Services ( AD DS) binaries are installed, then will start installing them. 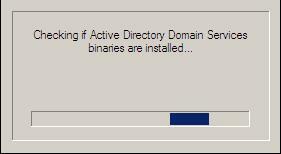 The binaries could be installed if you had run the dcpromo command previously and then canceled the operation after the binaries were installed. 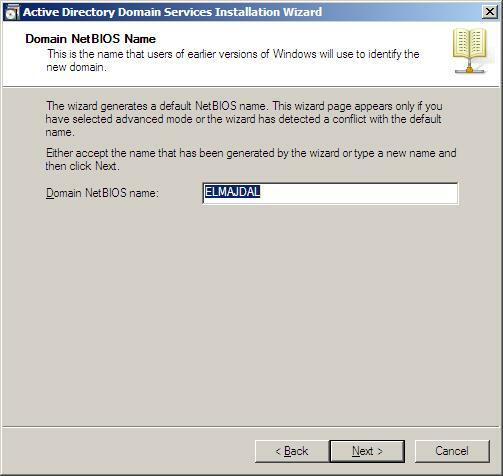 If you selected Use advanced mode installation on the Welcome page, the Domain NetBIOS Name page appears. 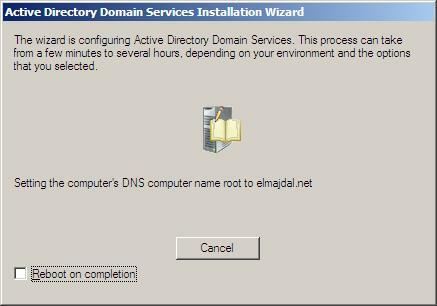 On this page, type the NetBIOS name of the domain if necessary or accept the default name and then click Next. 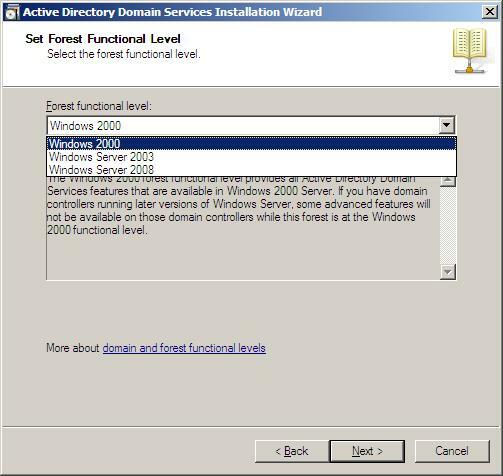 Select the Forest Functional Level, choose the level you desire and click on Next. 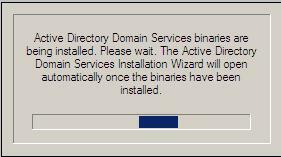 Make sure to read the description of each functional level to understand the difference between each one. 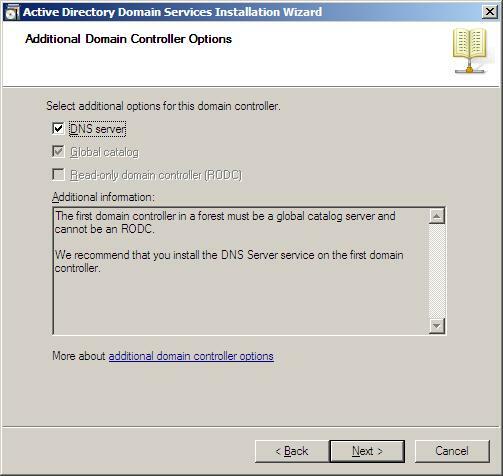 In the Additional Domain Controller Options page, you can select to install the Domain Name Service to your server. 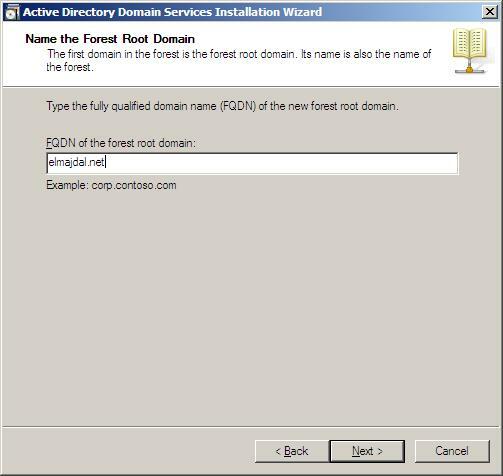 Note that the First domain controller in a forest must be a Global Catalog that's why the checkbox beside Global Catalog is selected and it cannot be cleared. 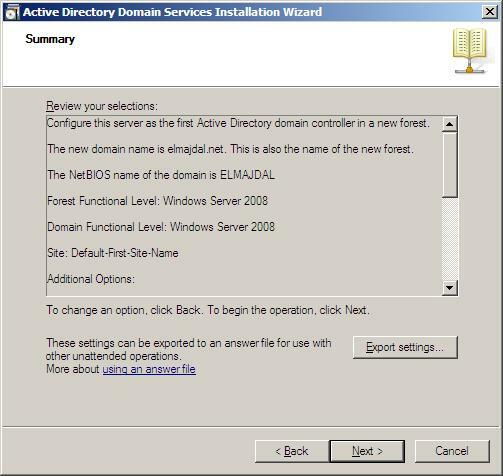 The checkbox is also selected by default when you install an additional domain controller in an existing domain, however you can clear this checkbox if you do not want the additional domain controller to be a global catalog server. 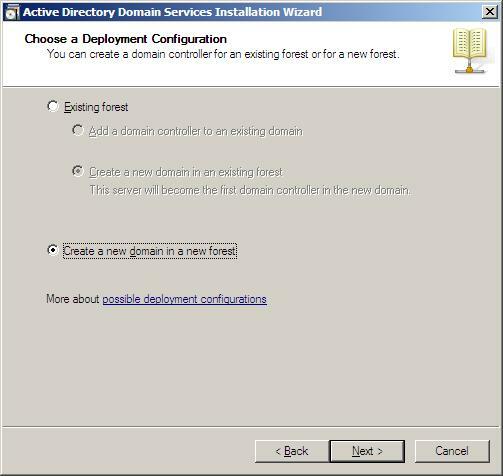 The first domain controller in a new forest or in a new domain can not be a Read Only Domain Controller (RODC), you can later add a RODC but you must have at least one Windows Server 2008 Domain Controller. 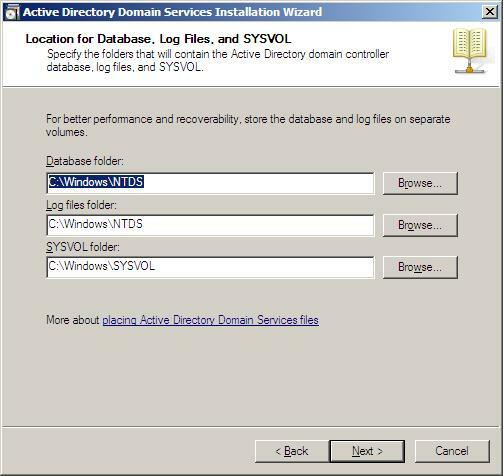 Now you will have the location where the domain controller database, log files and SYSVOL are stored on the server. 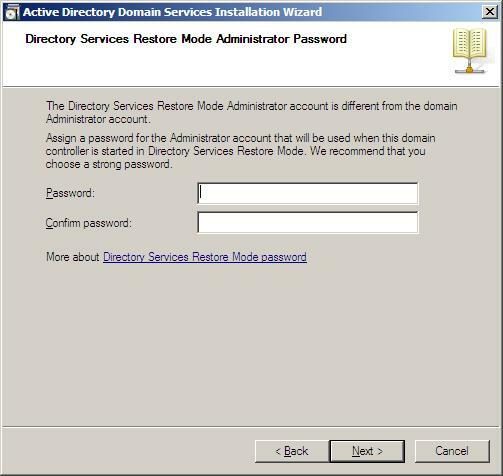 Directory Services Restore Mode Administrator Password (DSRM) page, write a password and confirm it. 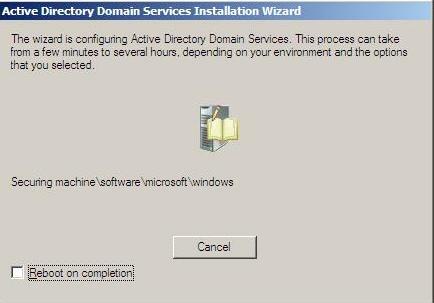 This password is used when the domain controller is started in Directory Services Restore Mode, which might be because Active Directory Domain Services is not running, or for tasks that must be performed offline. 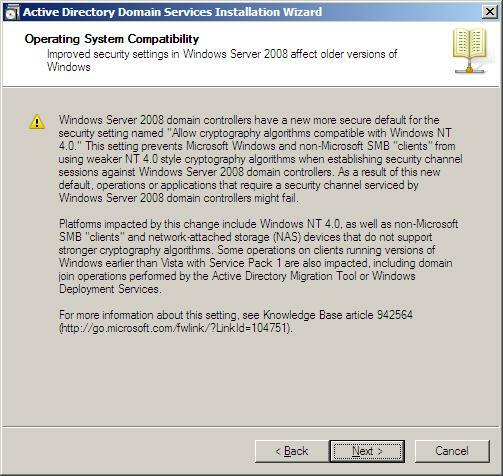 Make sure that you memorize this password when you need it. I know many administrators forgot it when they most needed it !! 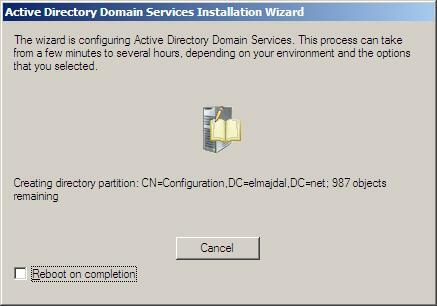 Summary page will be displayed showing you all the setting that you have set . 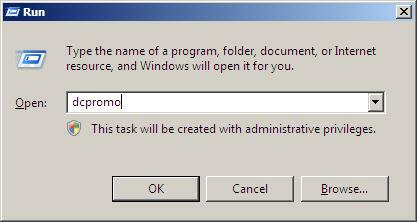 It gives you the option to export the setting you have setup into an answer file for use with other unattended operations, if you wish to have such file, click on the Export settings button and save the file. 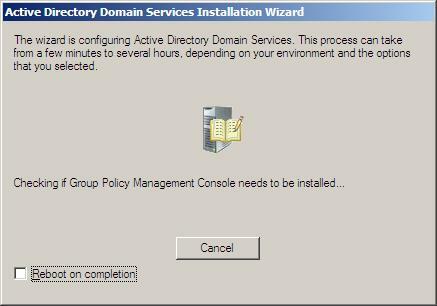 Followed by installing Group Policy Management Console, the system will check first if it is installed or not. 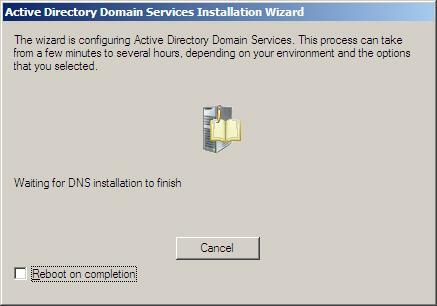 Active Directory Domain Services installation will be completed, click Finish, then click on Restart Now to restart your server for the changes to take effect.